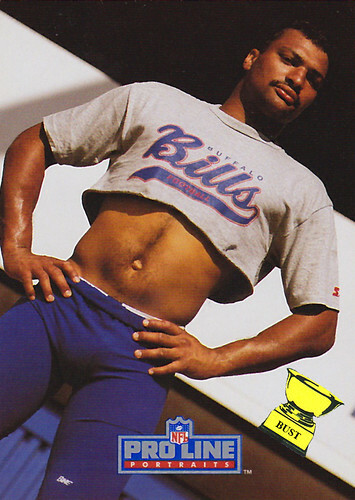 Darryl Talley's train of thought leading up to this photo shoot, June 17, 1991: "All right, photo time. Let's run down the checklist. Mustache finely groomed? Check. Bare-midriff shirt that I borrowed from one of the cheerleaders yesterday? Check. Most crotch-hugging pair of shorts I could pull on? Check. Belly button out? Check. Ability to put my hands on my hips, making it look like I have weird dents in my forearms? Check. Yes, let's do this!"